2. 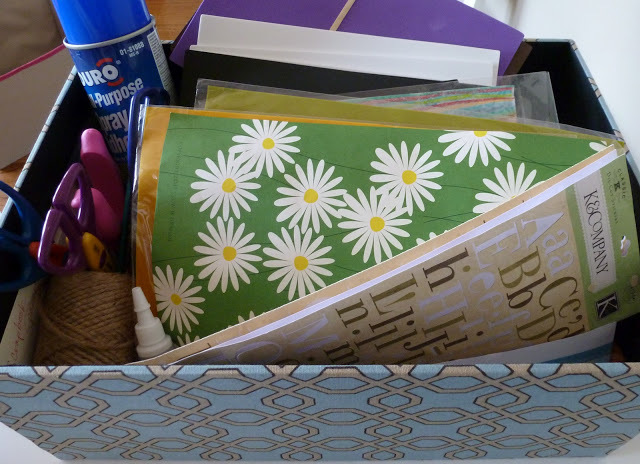 Scrap Papers: I love having a variety of scrap papers on hand… you can never have too many! To start off, I would recommend buying a book of different scrapbook papers. I happen to love the ones by Martha Stewart Crafts such as this. I have even used my paper scraps to decorate a book rack. 3. Foam Sheets: I discovered these relatively recently. They are easy to cut and the thickness and texture makes them really fun to work with. I’ve used them for a Happy Birthday banner and other holiday decorations. 4. Twine: there are endless uses for this… and it is cheap. Buy some right away. 5. Ribbon and Ric Rac: any time you get a present with some pretty ribbon, save it in a plastic baggie. Pretty soon you’ll have a collection to turn to for crafting projects like this ribbon chandelier (or of course for wrapping presents!). 7. Craft Paint – I like having metallic gold paint on hand. Something else metallic I love to use are metallic gold and silver gel pens like these. 8. Hole Punch – I just got this recently (mine happens to make heart-shaped punches!) and have already used when making a garland and bunting. 9. 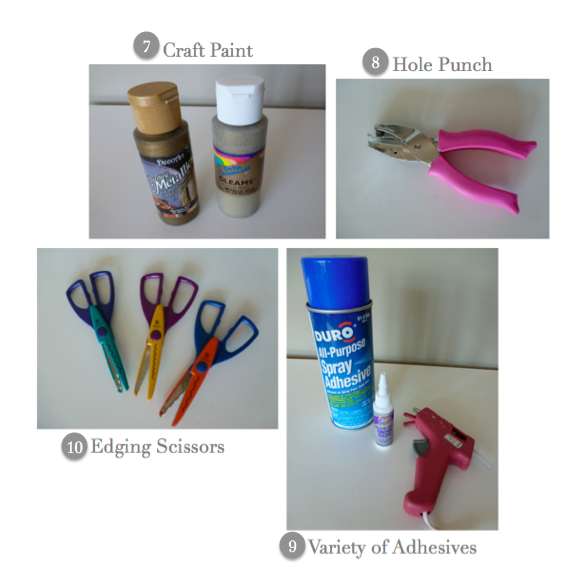 Variety of Adhesives – a glue gun is a must have. Other favorites of mine include spray adhesive, tacky glue, and double sided tape. I would add Mod Podge as well… while I don’t use it a lot, it sure is fun to use! 10. Edging Scissors – I think these are mainly used for scrapbooking, but I love to use them for any paper craft that needs to be jazzed up with a fancy border. They cut a zig zag, scalloped, or wavy edge. So that is my Top 10. 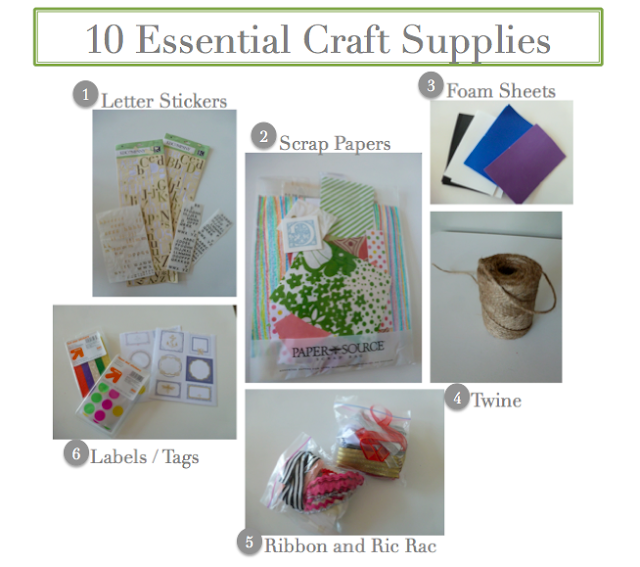 What are your must-have craft supplies that you would add to the list?